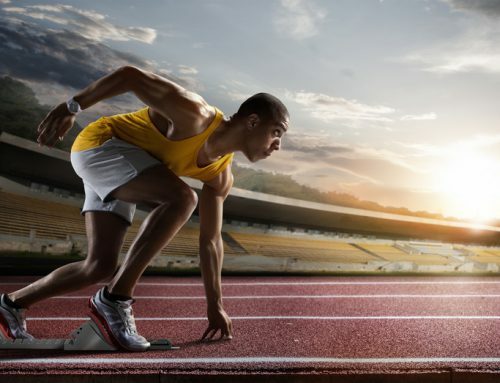 There is only one way to sprint, and that is fast. Training for Power in the weight room follows that analogy. To develop power you have to train fast. This analogy is also about recovery. To train for speed, do fewer reps with full recovery between sets. The same goes for lifting. To train for power, use less reps and recover fully in between sets. But power doesn’t translate to absolute strength. 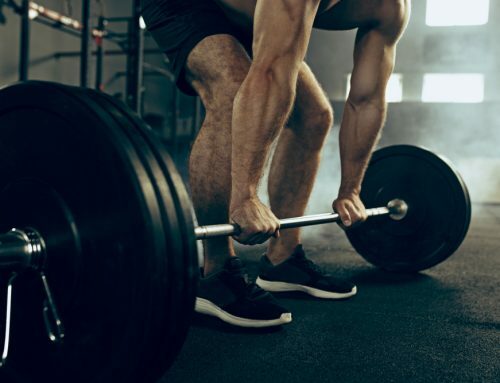 Just because an athlete can squat or bench a lot of weight doesn’t mean they are powerful—they are certainly strong, but not necessarily powerful. A shot putter that can throw the shot a great distance is powerful. They are combining their strength and providing the proper speed to thrust a heavy object a great distance. Therefore, power is speed and strength combined. Want to develop power in your athletes? The following are four ideas to implement into your strength training programming. Olympic Lifting is an excellent way to train for power as it combines strength and speed. Olympic Lifters are very powerful; it is amazing to see athletes lift 2 – 3 times their body weight over their head! Cleans, Jerks, and Snatches are the mainstays of Olympic lifting, but several different variations can also help train for Power. For example, Power Pulls/Shrugs can help to get weight moving fast. Just like sprinting, plyometrics are another great illustration of power. Plyometrics are done very quickly in a ballistic fashion. 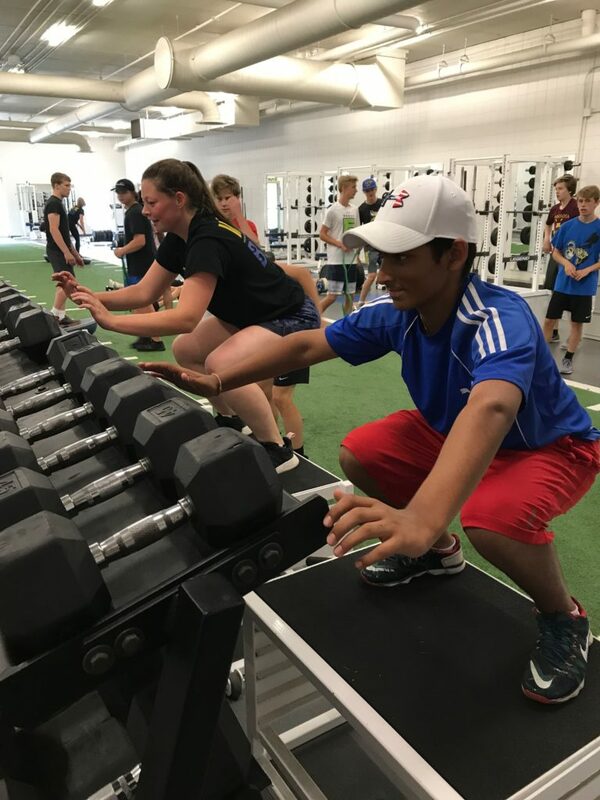 Explosive in nature, they are often referred to as bridging the gap from the weight room to the sport and for good reason. Once our athletes have developed a base of strength and movement, we add plyos to their workouts. For lower body plyometric work we start with landing, teaching athletes how to stick the landing like a gymnast. The landing is crucial to the amortization phase, which is when force is absorbed within the system. This stretch-shortening cycle is the body’s capacity to absorb force and use it on the rebound. A spring doesn’t release all of its potential unless it is fully compacted, and the same goes for upper body plyometrics. We start with deceleration training before we work on acceleration training, actually releasing and throwing the medicine balls. Sticking the landing is all about deceleration training, so we focus on this prior to acceleration training. “Fake throws” are a great upper body plyo example of this. We take a medicine ball and have the athletes begin the throwing motion and stop it before actually throwing the ball, decelerating the movement and basically sticking the landing up top. For those of you using percentage of max training programs, know that power development lies within the numbers. When using free weight exercises for power training, loads of 75-85% of one-rep max (1RM) are usually utilized for sets of 3-5 reps. This is a general guideline. 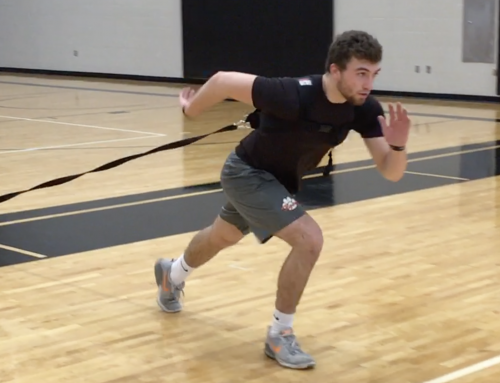 Some coaches will train with less reps, but typically these coaches are also utilizing a Tendo Unit that actually measures the speed of the barbell. 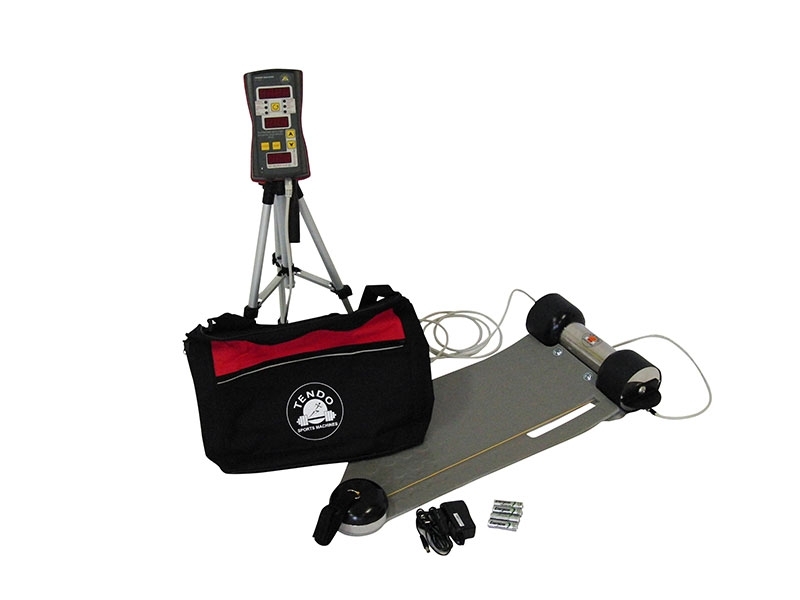 A Tendo Unit is a device that attaches a small wire to the bar and displays the power output for the coach and the athlete to see. 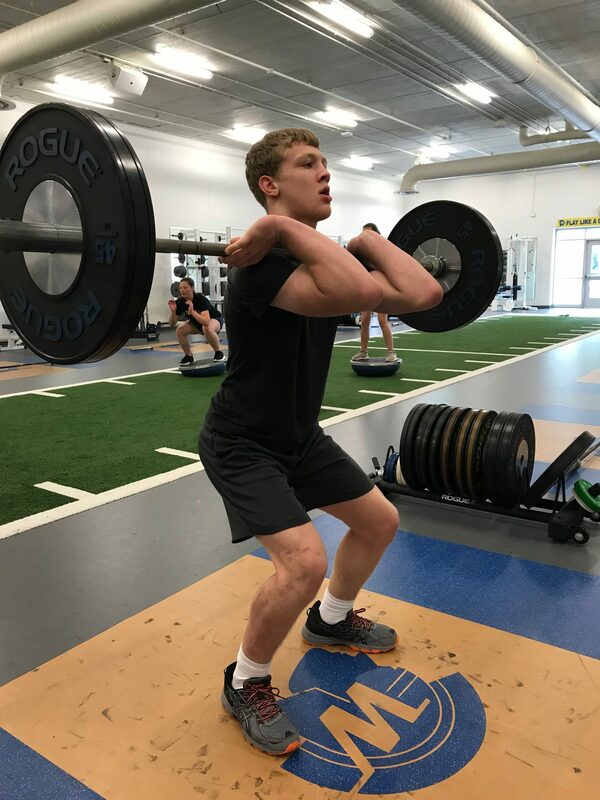 Many of these coaches and programs will have the athlete continue to train for several sets until the power production drops below a set level. Most high school programs do not have these units due to cost and maintenance. In addition to our basic periodization training and plyometrics, contrast training is highly efficient method of developing power. It combines strength training and plyometric movements by using a weight training exercise paired with a plyometric exercise immediately after. An example of this is performing a set of trap bar deadlifts immediately followed by box jumps. Some coaches will forgo Olympic Lifts in favor of contrast training. This type of training works very well for large groups or teams as the athlete will step off a platform or out of a rack and immediately explode into a movement. This type of training requires a bit more structure and organization of your facility but that is what most good strength coaches do. We are air traffic controllers for the most part. Juggling lots of moving parts in a coordinated manner. The bottom line is that there is more than one way home. Being able to implement and coordinate what is best for our programs where we are, with what we have is the bottom line. There is a difference between strength and power, but know this. You cannot develop power without strength, and you cannot develop power without speed. Your ability as a coach to incorporate strength and speed in your facility is crucial. Do what you can with what you have, with where you are, and you will provide tremendous benefit to your athletes.